Some popular misperceptions of the North Korean sanctions regime include that it is “the most heavily sanctioned country in the world and nothing more can be imposed.” Responding to indications of an impending fourth North Korean nuclear test, President Obama declared the US would consider “further sanctions that have even more bite.” The reality is that the US response to North Korea’s nuclear threats has been characterized by firm rhetoric and minimalist actions when compared with stronger punitive measures imposed on Iran and other nations. Sanctions have achieved several of their objectives when applied effectively. North Korea has withdrawn from the Nuclear Non-Proliferation Treaty, developed and tested nuclear weapons, declared that its nuclear program is for military purposes, and threatened the United States and its allies with nuclear annihilation. As great a threat as Iran’s nuclear program is, Tehran has done none of these things. Yet the US, the European Union, and the United Nations have counter-intuitively imposed far less restrictive sanctions on Pyongyang than on Tehran. The targeted financial measures against Iran were a critical factor in Tehran’s return to the negotiating table. While successive US administrations had for decades imposed sanctions on Iran for a variety of transgressions, only since 2010 have Washington, the EU, and UN adopted steadily stricter and more comprehensive measures. Under a variety of new legislation and executive orders, the US prohibits providing fuel to Iran, bans the sale of equipment or services that would help Iran to increase its gasoline production capability, and restricts foreign financial institutions’ access to the US financial system if they process petroleum transactions with Iran’s central bank. The US has targeted key Iranian industries, such as shipping and ports management, and will impose sanctions on foreign companies engaged with Iranian companies in those targeted sectors. Washington has also sanctioned Iranian government agencies for human rights abuses, which should form a precedent for similar action against North Korea given the UN Commission of Inquiry’s finding that Pyongyang has committed crimes against humanity. Unilateral US actions, combined with diplomatic pressure, led other nations to impose their own financial and regulatory measures against Iran, including an EU ban on purchasing Iranian oil. Collectively, the international sanctions have isolated Iran from the international banking system, targeted critical Iranian economic sectors, and forced countries to restrict purchases of Iranian oil and gas, Tehran’s largest export. 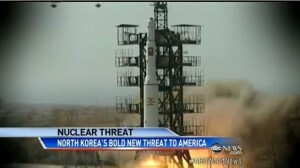 In terms of real capabilities, North Korea poses a greater nuclear threat to the US and its allies than does Iran. But the United States pulls it punches by only incrementally increasing punishments on Pyongyang for its repeated defiance of the international community. Instead, the United States should use its action against Iran as a model and impose the same severity of targeted financial measures against North Korea. North Korea’s limited nodes of economic contact with the outside world and lack of a valuable global commodity—such as Iran’s oil—make it vulnerable to enhanced economic pressure. While the imposition of sanctions has not halted the development of nuclear and ballistic missile programs, it has in all likelihood considerably delayed the [North Korean] timetable and …choked off significant funding which would have been channeled into its prohibited activities. [It] has hampered its arms sales and illicit weapon programs. The resolutions are also crucial in preventing the country from exporting sensitive nuclear and missile technology. The report notes, that sanctions have also caused international financial institutions and businesses to become increasingly reluctant to engage with North Korea. Coercive financial pressure has raised the risk and cost to Pyongyang and its facilitators, forcing them to alter their operations, thus stretching out the development timelines. For example, US action against Banco Delta Asia in 2005, combined with public revelations about North Korean conduct, have led foreign businesses and financial institutions to shun Pyongyang, fearful of being sanctioned as complicit in North Korean illegal activity. Since then, it has been reported that some two dozen financial institutions have voluntarily cut back or terminated their business with North Korea, including institutions in China, Japan, Vietnam, Mongolia, and Singapore. Unlike Iran, North Korea is small, weak, and undiversified in its economic or diplomatic contacts. It is heavily reliant on China, making Pyongyang more susceptible to sanctions if Beijing or Chinese banks comply. Unfortunately, despite North Korea’s belligerent actions, Beijing has shown itself to be a paper dragon on sanctions, reluctant both to allow more comprehensive sanctions and to fully implement those already imposed. After each North Korean provocation or violation, the US and its allies returned to the Security Council demanding stronger measures, only to run into Chinese obfuscation and obstruction. The result has been only incrementally strengthened measures. Beijing has shown itself to be part of the problem, rather than part of the solution. Yet, even China can be moved to action in response to US targeted financial measures. Following US action against Banco Delta Asia, the Bank of China severed relations with North Korea due to concerns over the risk to its own international reputation and losing access to the US banking and financial system. In 2010, President Obama declared that the United States will “continue to press on sanctions implementation until there is concrete, verifiable progress on denuclearization,” but administration officials privately commented that the “intensity with which they push for tough implementation of sanctions [is] calibrated depending” on North Korean behavior. In March 2013, despite North Korea’s repeated violations of UN resolutions, a State Department official commented that there was still room to increase sanctions on North Korea: “[W]e haven’t maxed out, there is headroom.” The Obama administration’s policy of “strategic patience” is predominantly passive because it fails to impose sufficient pressure to effectively degrade North Korea’s capabilities or alter its behavior. The US has sufficient tools. It has just lacked the resolve to use them. By adopting a sanctions policy of timid incrementalism, the US squandered the opportunity to impede progress on North Korea’s nuclear and missile programs more effectively and coerce compliance with UN resolutions. The regime has successfully weathered weak diplomatic responses to its provocations, weak international sanctions, and no military response to its two attacks on South Korea. As a result, Pyongyang feels that its own strategic patience policy can outlast that of its opponents. The collective international finger-wagging and promises to be tougher the next time have allowed North Korea additional years to develop and refine its nuclear weapons and the means to deliver them. The inability and unwillingness to impose more comprehensive sanctions has emboldened North Korea, Iran, and other nuclear aspirants to believe they can defy the world until they present their nuclear status as a fait accompli. North Korea also has felt no compunction about proliferating nuclear and chemical weapons technologies to Syria. The United States possesses an array of strong unilateral punitive measures that it can levy on Pyongyang. It has employed many of these against Iran. The Obama administration should overcome its reluctance to impose more extensive punitive measures against Pyongyang and the foreign entities that assist its nuclear and missile programs. Washington should then create a “coalition of the willing” by calling on foreign banks, businesses, and governments to augment the impact of US actions against North Korean and foreign violators. However, even without a coalition, unilateral US actions would be effective against even an isolated regime such as North Korea given that the US dollar serves as the currency of choice for international trade and any dollar-denominated transaction must go through the US banking and financial systems. Designate North Korea as a primary money-laundering concern. In 2002, 2004, and 2011, the US Treasury designated Ukraine, Burma, and Iran, respectively, as “jurisdiction[s] of primary money laundering concern” under Section 311 of the USA Patriot Act. Publicly identify and sanction all foreign companies, financial institutions, and governments assisting North Korea’s nuclear and missile programs. Executive Orders 13382 and 13551 enable targeted financial and regulatory measures, including freezing of assets, against any entity suspected of helping North Korean nuclear, missile, and conventional arms; criminal activities; money laundering; or import of luxury goods. Impose third-party sanctions. The US should penalize entities, particularly Chinese financial institutions and businesses, that trade with those on the sanctions list or export prohibited items. The US should also ban financial institutions that conduct business with North Korea from conducting business in the United States. Urge the European Union and other countries to sever ties with North Korea’s Foreign Trade Bank. The Foreign Trade Bank, North Korea’s main financial portal for international trade, was blacklisted by the US and China in 2013 for facilitating North Korean nuclear and missile proliferation. Target the North Korean government writ large, not just individuals or departments. The US determined in Executive Order 13551 that the North Korean government itself was involved in illicit and deceptive activities. Washington should therefore designate and sanction the entire North Korean government rather than individual departments and persons. Resume law enforcement efforts against North Korean illicit activities. Despite the US government’s affirmation that North Korea is complicit in illicit activities—the counterfeiting of currency and pharmaceuticals, illegal production and distribution of narcotics, and money laundering—the US apparently has not taken any law enforcement action since the mid-2000s when the Banco Delta Asia money was returned. Pyongyang’s involvement in illicit activities should trigger criminal cases against the North Korean leadership. Tighten maritime counterproliferation. The US should target shipping companies and airlines caught proliferating. If they are state-owned, the US should sanction the relevant government ministry. Sanctions have been applied against the Islamic Republic of Iran Shipping Line and Iran Air. Enhance US inspection of shipping companies transiting ports that consistently fail to inspect North Korean cargo. Any vessel or aircraft that has transported prohibited North Korea items should be seized upon entering US jurisdiction. Close loopholes in Resolution 2094, including Article 42 of Chapter VII of the UN Charter, which allows for enforcement by military means. This would authorize naval ships to intercept, board, and inspect North Korean ships suspected of transporting precluded nuclear, missile, and conventional arms, components, or technology. Adopt a more comprehensive list of prohibited items and materials. The UN Panel of Experts identified several items and materials critical to Pyongyang’s nuclear programs that should be added to the list of products banned for transfer to North Korea, but have been precluded thus far due to Chinese opposition. These include maraging steel, frequency changers, high-strength aluminum alloy, filament winding machines, ring magnets, and semi-hard magnetic alloys in thin strip form. Constrain trade of major North Korean imports and exports. The US should apply sanctions similar to those imposed on significant Iran imports and exports. The US should restrict North Korean energy imports and the export of North Korean resources and restricts access to the US financial system by foreign companies and banks if they do business with those targeted sectors. Washington should then call on other nations to take similar actions. North Korea faces a perfect storm of conditions that makes it more vulnerable to economic pressure. The US and its allies are unwilling to offer unconditional benefits without progress in the six-party talks. International aid has been curtailed due to Pyongyang’s refusal to accept global monitoring standards, and international coercive financial pressure is affecting North Korea’s finances. This increasing economic isolation could lead the regime to become more malleable. Washington should no longer hold some sanctions in abeyance, to be rolled out after the next North Korean violation or provocation. There will be little change until North Korea feels pain and China feels concern over the consequences of Pyongyang’s actions and its own obstructionism. Mark Landler, “Obama Offers Support to South Korea at a Moment of Trauma and Tension,” New York Times, April 25, 2014, http://www.nytimes.com/2014/04/26/world/asia/obama-asia.html?hpw&rref=world. Panel of Experts, “Report of the Panel of Experts Established Pursuant to Resolution 1874 (2009): Summary,” in UN Security Council, S/2013/337, June 11, 2013, p. 5, http://www.un.org/ga/search/view_doc.asp?symbol=S/2013/337. Daniel L. Glaser, testimony before the Committee on Banking, Housing, and Urban Affairs, US Senate, September 12, 2006, http://www.banking.senate.gov/public/index.cfm?FuseAction=Files.View&FileStore_id=deda4b45-d225-4a22-8ec4-2154cbc61ded. Juan Zarate, Treasury’s War: the Unleashing of a New Era of Financial Warfare, (Public Affairs: New York, 2013). Mary Beth Nikitin et al., “Implementation of U.N. Security Council Resolution 1874,” memorandum to Senator Richard G. Lugar (R–IN), October 8, 2010, http://fpc.state.gov/documents/organization/152630.pdf. Adrian Croft, “US Wants EU to Put North Korean Bank on Sanctions List,” Reuters, March 25, 2013, http://www.reuters.com/article/2013/03/25/us-korea-north-eu-idUSBRE92O0TU20130325. See Juan Zarate, “Treasury’s War: the Unleashing of a New Era of Financial Warfare,” for an extensive explanation of the US government’s ability to impact rogue regimes and transnational actors through targeted financial measures. US Department of the Treasury, “Imposition of Special Measures Against Burma,” April 2, 2004, in Federal Register, Vol. 69, No. 70 (April 12, 2004), pp. 19093–19098, http://www.fincen.gov/statutes_regs/patriot/pdf/burma.pdf, and press release, “Fact Sheet: New Sanctions on Iran,” US Department of the Treasury, November 21, 2011, http://www.treasury.gov/press-center/press-releases/Pages/tg1367.aspx. US Department of the Treasury, Financial Crimes Enforcement Network, “Section 311—Special Measures,” http://www.fincen.gov/statutes_regs/patriot/section311.html. Joshua Stanton, “Kaesong Investors Beware: Treasury Issues New Warning About N. Korea Money Laundering Risk,” September 21, 2013, http://freekorea.us/2013/09/21/kaesong-investors-beware-treasury-issues-new-warning-about-n-korea-money-laundering-risk/. Sung-Yoon Lee and Joshua Stanton, “Hit Kim Jong Eun Where It Hurts: His Wallet,” The Washington Post, February 13, 2013, http://articles.washingtonpost.com/2013-02-12/opinions/37059212_1_nuclear-test-pyongyang-international-network. Executive Order 13551 applies US sanctions to anyone that has assisted “any person whose property and interests in property are blocked pursuant to this order.” Barack Obama, “Blocking Property of Certain Persons with Respect to North Korea,” Executive Order 13551, § 1(a)(ii) (E), http://www.whitehouse.gov/the-press-office/2010/08/30/executive-order-president-blocking-property-certain-persons-with-respect. Executive Order 13551 concludes by “finding that the continued actions and policies of the Government of North Korea, [including] its illicit and deceptive activities in international markets through which it obtains financial and other support, including money laundering, the counterfeiting of goods and currency, bulk cash smuggling, and narcotics trafficking … constitute an unusual and extraordinary threat to the national security, foreign policy, and economy of the United States.” Ibid. (emphasis added).